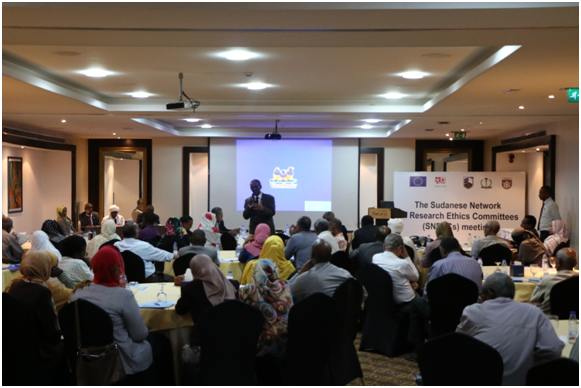 The second meeting for the Sudanese Network of Research Ethics committees was held on Saturday 11/08/2018 at Al Salam Rotana Hotel in Khartoum. 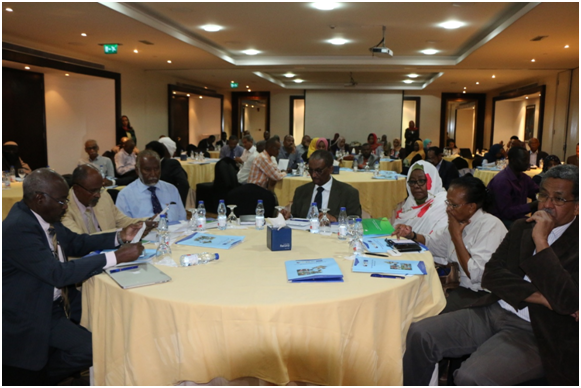 The meeting was attended by chairs and representatives of 29 research ethics committees that were trained through the program for “Improving the Ethical Review Process in Sudan” a program supported by the European and Developing Countries Clinical Trial Partnership (EDCTP) and the European Union. The program included presentations from four newly formed committees reflecting on their journey in constituting their committees and the challenges they had faced. The newly revised guidelines and the accreditation guidelines published by the Federal Ministry of Health were distributed to the research ethics committees as guiding documents for the constitution and functioning of their individual committees. A paper was presented to discuss the importance of written standard operating procedures and another paper presented the preliminary results of the mapping of RECs in Sudan. The workshop was also attended by the chairpersons of the National Health Research Ethics Committee and the National Medicine and Poisons Board as well as the Director of Research Directorate from the Federal Ministry of Health .